Upon his arrival, Mister Rogers talks about learning to play peekaboo as a young boy. Comparing peekaboo to hide-and-seek, Mister Rogers explains that both games have the potential to scare young children when they think that the person hiding may not come back. 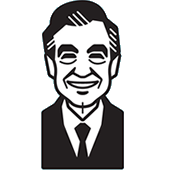 With him, Mister Rogers has brough two different kinds of bowling balls -- a large one and a small one. Mr. McFeely arrives to join Mister Rogers on a trip to Bob Trow's bowling alley. Together they demonstrate the game of bowling and get a behind-the-scenes look at the bowling lanes compliments of Mr. Trow. Leaving the bowling alley, Mister Rogers and Mr. McFeely talk with Marilyn Barnett who is teaching a group of children, including her son, how to bowl. In the Neighborhood of Make-Believe, the pussycat-owl-king-woman-dog-boy-girl-reindeer-tiger team has assembled at the castle but is having difficulty deciding on a game that would be appropriate for all team members. Randy Caribou suggest a game of "antler ball" while X prefers the idea of playing "wing ding." Lady Aberlin's suggestion of football will not work either. Neither will Bob Dog's mention of "paw ball." Quietly, Daniel suggests hide-and-seek which everyone agrees would be a game that could involve all team members. Realizing that everyone must be hiding, Lady Elaine finds everyone at once by using her boomerang to turn the Neighborhood upside down. After the team recognizes that Lady Elaine has won, she returns the Neighborhood to normal. Since they were only playing for fun, Bob Dog explains that his team won as well. Lady Elaine asks to join the team and is given the uniform of Randy Caribou who must return to his home. Back at the house, Mister Rogers has placed the Neighborhood of Make-Believe figures in the order they were mentioned in the pussycat-owl-king-woman-dog-boy-girl-reindeer-tiger team name. As he puts the figures away, he talks about how important play is to growing and learning. Rashidi Barnett, son of Marilyn Barnett, previously appeared in Episode 1593. Daniel Striped Tiger suggests that the team play hide-and-seek to which everyone responds with great interest. Listening closely, Randy S. Caribou can be heard saying "I played with Trolley." This refers to the game of hide-and-seek that he shared with Trolley in Episode 1602. Unlike other characters who appear in the Neighborhood of Make-Believe, Randy S. Caribou is actually listed in the credits for this episode with Chuck Aber's name in parentheses. This series is dedicated to friend and mentor Margaret B. McFarland Ph.D. who passed away in 1988. Dedicated to our friend and colleague, Margaret B. McFarland Ph.D., with love, thanks, and respect.